Grand National viewers are set to enjoy a jockey’s eye view of the big race following news that last year’s winning-rider Leighton Aspell will wear a jockey-cam in the big race on Saturday. Aspell won the 2014 National on 25-1 shot Pineau De Re and this time will partner this season’s Hennessy Gold Cup and Betbright Cup winner Many Clouds. The high-definition camera, which is also likely to be worn by jockeys Gavin Sheehan and Will Kennedy, will give a riders’ view of the Aintree course in the world’s greatest steeplechase and other races at the three-day meeting that starts on Thursday. “This year, Channel 4 viewers will be able to experience the jockeys’ point of view when riding around Aintree,” Denise Large, director of programmes for Channel 4 Racing said. “I would like to thank the British Horseracing Authority and the Professional Jockeys Association for all of their support, and all the jockeys who have tested the camera on training grounds. Without them, this would not have been possible. 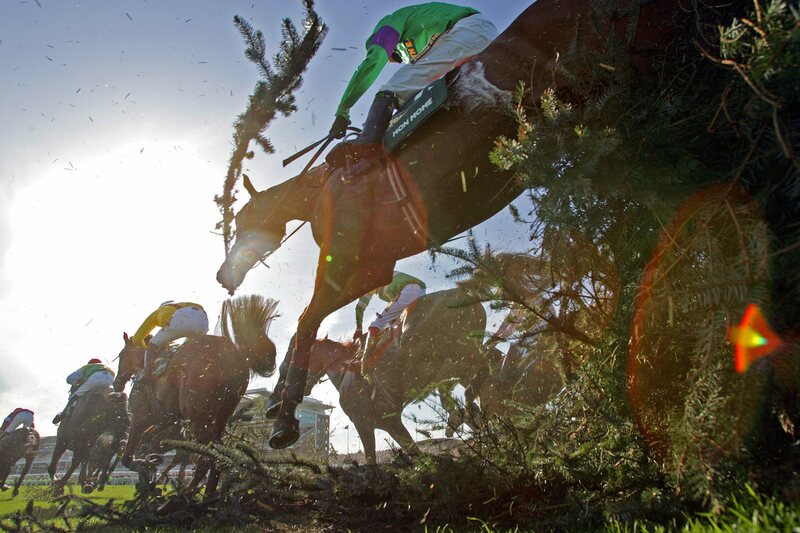 Meanwhile, Aintree are likely to water the National course before racing starts on Thursday. Aintree clerk of the course Andrew Tulloch said: “We finished the watering programme (five millimetres) on the Mildmay Course this morning [Wednesday]. The course has not dried as much as I thought it would and I am describing it now as Good to Soft, Good in places. “It is nice ground and the same applies to the Hurdle Course which is Good to Soft following the five millimetres of watering (five millimetres) yesterday. “The Grand National Course remains Good to Soft and we are likely to do some selective watering before racing tomorrow. I am going to walk the course now. “The watering will covering about a third of the Grand National Course and involve three to four millimetres of water being put on by the computer-controlled pop-up system. It is lovely jumping ground, with some parts drying quicker than others. “We will look at the going descriptions again tomorrow morning. It is forecast to be dry for the rest of today, tomorrow and Friday during the day. There could be the odd shower after racing on Friday but only producing one to two millimetres of precipitation.